YESSTYLE: Asian Fashion & Beauty Products | Memorable Days : Beauty Blog - Korean Beauty, European, American Product Reviews. I only know a few online shops in Holland which are selling Asian clothing and usually their assortment isn't that large. But do you know the online store Yesstyle.com? I've noticed that more and more people like to follow the Asian Fashion trend. That's why I wanted to share this site with you. Besides Asian fashion, Asian beauty products are becoming more and more popular as well. Most of the people who are familiar with this website know that they are selling clothing for women and men, but did you know that they are selling jewelry, asian beauty and skincare products, circle lenses and kids' fashion as well? They have such a large assortment! I didn't know that their assortment was that large o_o"! Have you ever bought anything from Yesstyle before? What did you buy? and yess =( its 10 times cheaper if you buy it on asian sites, but like you said, they don't ship internationally and these kind of clothes are just not available here, so the only way to get it is through online shops. @Melody, yayy =D curious how it looks like =D! I have seen the sight, but never ordered anything. 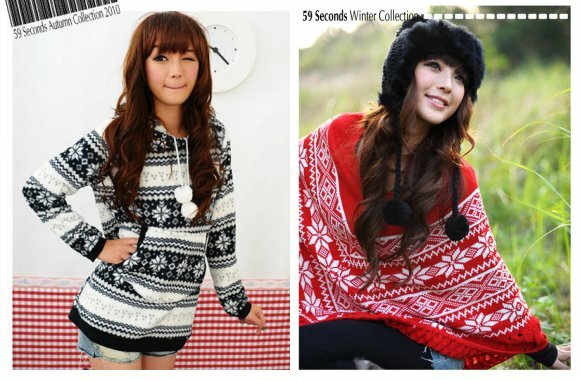 Those sweaters are super cute! @rinny, too bad that the quality isn't that good =(,truee. it's not always that way, a male friend of mine is buying his clothes there quite often, but the quality is ok though. I find their prices too expensive than the original websites of the brands.